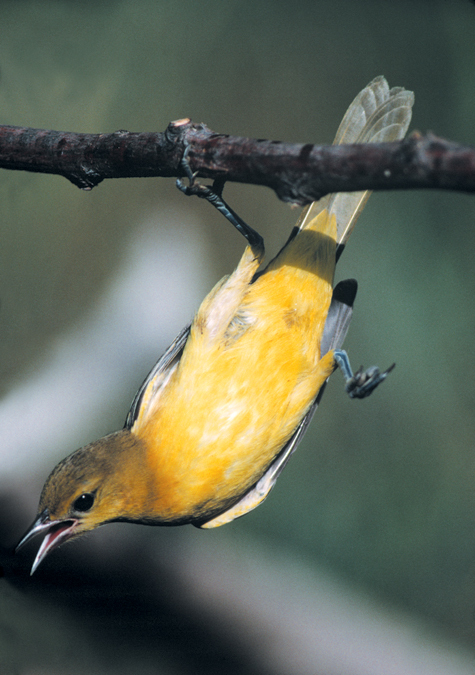 This female orchard oriole was clinging to a branch over water. This posture lasted only a split second. I was using Kodachrome film at the time and had to wait until I received my slides from the developer to know if I had the entire bird in the viewfinder. I like to use this photo when doing bird presentations. I”ll end by saying, “thanks for hanging in there with me”.